A year ago I didn't see how it could actually happen. How were we going to wade through the nearly impossible, and not very church friendly, county red tape and regulations to get the permits to build, much less raise the money to build a church without borrowing money? Today, we had our first service in our new building. Every obstacle we faced with the county, our church prayed, and God moved it out of the way, one way or another. We paid as we went along, and somehow God provided. He provided through our people giving money, volunteers giving time and their skills to help with the building, and even donations of services by outside companies. And now, the Hubs and I are rejoicing and resting for a few days in a wee little cottage at the beach, after a very wonderful and wearying year. Thank you, God, for Your wild, wonderful, faith stretching, miracle! -our four grand babies, ages 9,8, 3 and 9 months…they're all growing too fast! I always like to see what your praises are. This morning I was reading in Psalm 119 and in verse 164 it says- Seven times a day do I praise thee because of they righteous judgments.It seemed that the writer made a very conscious effort to give thanks and in a deliberate way and time. Much like the joy dare I thought. What a joyous celebration you must have had in your new building. And what a testimony to the greatness of our God! Trust your time away is refreshing. Remembering the times of 'red tape' prayers and rejoicing to see that you are finally in your own building. Have a good rest, my friend. 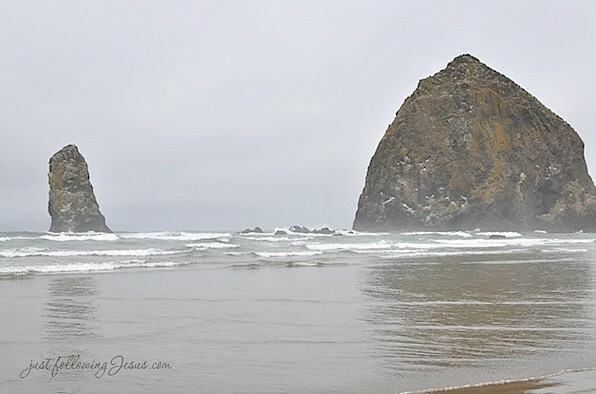 We just returned from a short time at the Oregon Coast. Came home refreshed but longing to go back soon! Wow that is awesome, our church would love to have a building we are outgrowing our warehouse in Wilsonville.